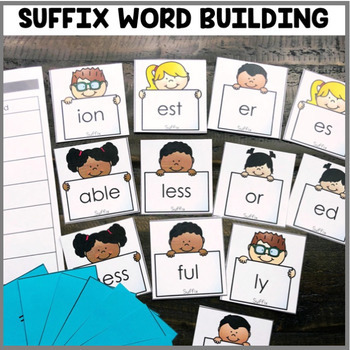 This "Suffix Word Building" Center is a part of the December Centers Bundle for 2nd Grade! This is great for vocabulary and understanding the meaning of root words along with their suffixes. Students will be making new meaning of words by adding suffixes and recording the meaning. RF.2.3.D Decode words with common prefixes and suffixes.